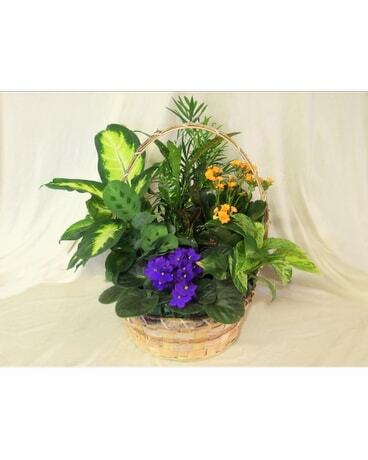 A beautiful garden of mixed blooming and foliage plants in a wicker basket. Plant varieties and baskets will vary. Each one is made up individually in our greenhouse so the item sent will be different from the picture. The basket size and shape will vary.